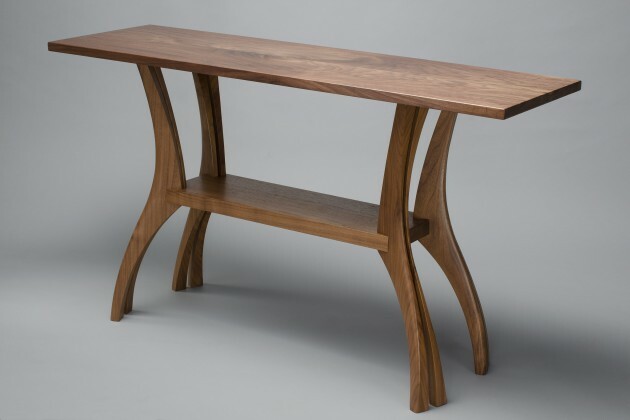 Inspired by gazelle legs, the Gazelle Hall Table is made from 4 pairs of solid black walnut legs which support a cherry shelf and overhanging top. 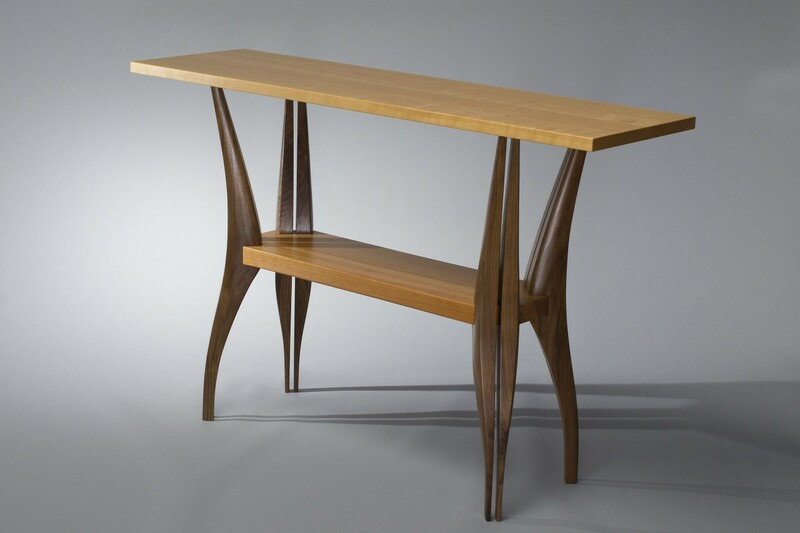 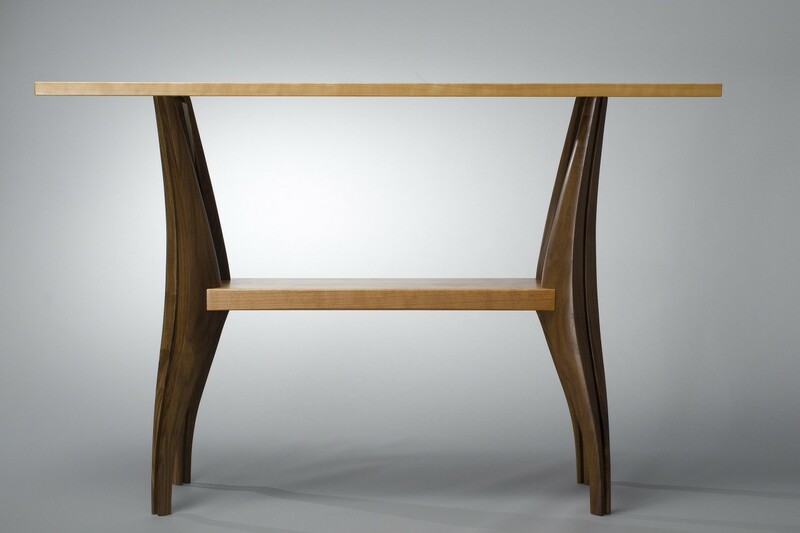 This wood hall table has a light stance and graceful organic feel. 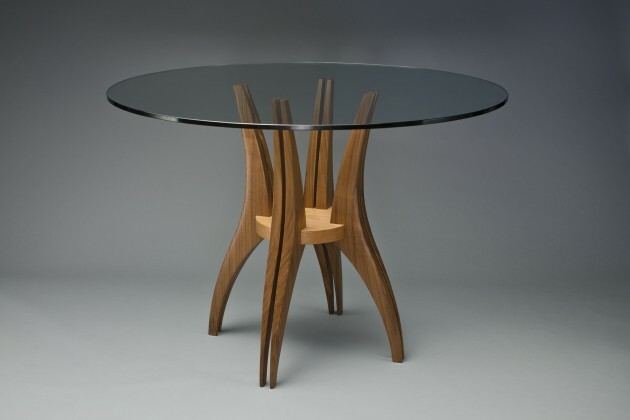 This table design is also available in a round dining table version as the Gazelle Cafe Table.